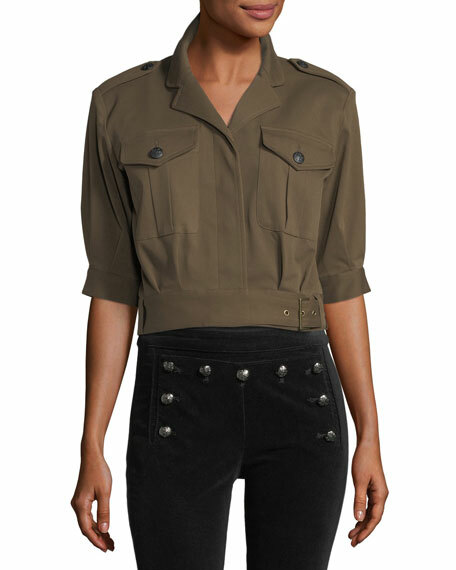 Veronica Beard "Fleet" cotton-blend military jacket. Notched collar; button-front with placket. Made in USA of Italian materials. Veronica Beard is an elevated American sportswear brand that strikes the balance between cool and classic. Inspired by timeless style, the Veronica Beard ready-to-wear collection consists of iconic pieces that are designed to make dressing chic and easy for the girl-on-the-go. For in-store inquiries, use sku #2231033. 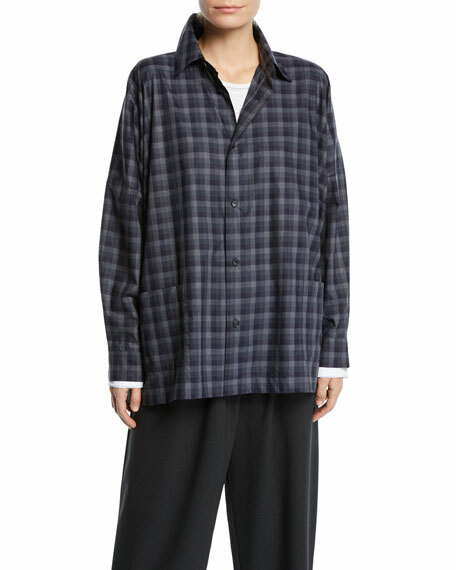 Eskandar shirt jacket in plaid cotton. Spread collar; button front. Long sleeves. Hip patch pockets. Oversized fit. Hem hits below hips. Cotton. Made in Poland. Model's measurements: Height 5'10"/177cm, bust 31"/79cm, waist 24"/61cm, hips 34"/86cm, dress size US 2. Figue "Sofia" cotton voile dress with intricate embroidery. Smocked, off-the-shoulder neckline. Cold shoulder; spaghetti straps. Bracelet sleeves. Tasseled drawstring waist. 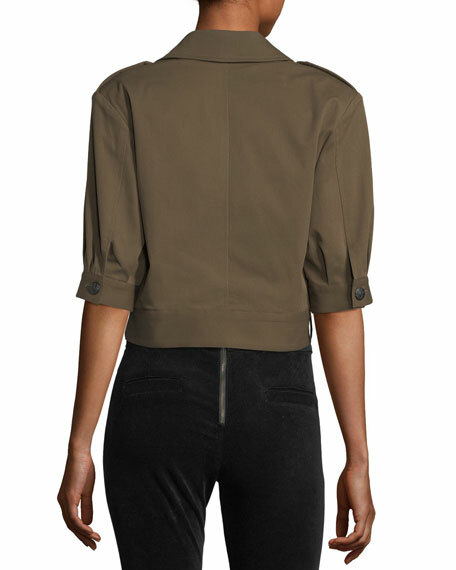 Blouson top. Flutter hem. Knee-length. Imported.